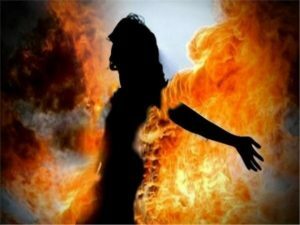 Police Report: The body of a 23-year-old woman that was half-burnt was found in the village of Sohjani Umerpur of Shamli, Uttar Pradesh. The 23-year-old woman had been missing for 2 days. Her body was dumped in a husk storage, the police found the half-burnt body on Saturday. SHO Sandeep Balyan said that the body has been sent for an autopsy. SHO Sandeep added that they have called in a couple of people who they think can be behind the crime and the police has launched a probe for the case.